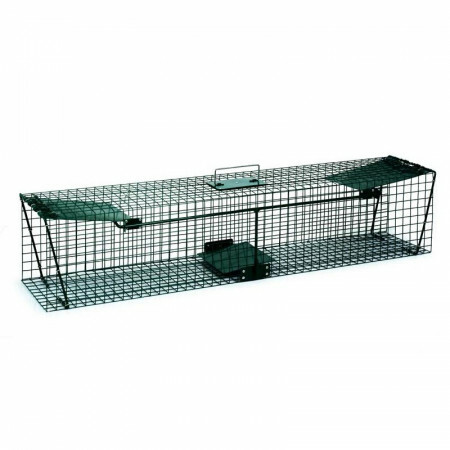 Metal traps to capture animals: mice, rats, foxes, rabbits, birds, mink, squirrels, etc. - Extertronic, S.L. Metallic traps There are 16 products. 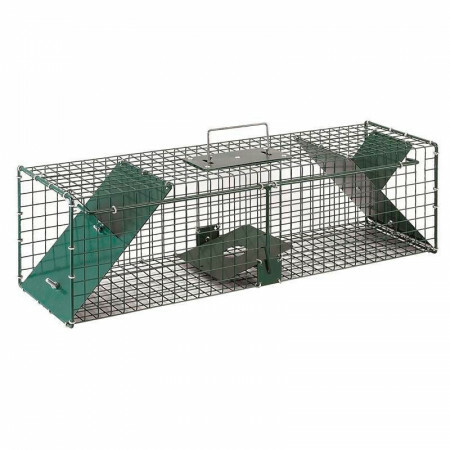 Multicaptura cage with 2 departments. Made of metal and wire. Easy to use and carry, because it has a handle.Dimensions: 40x19x22cm. 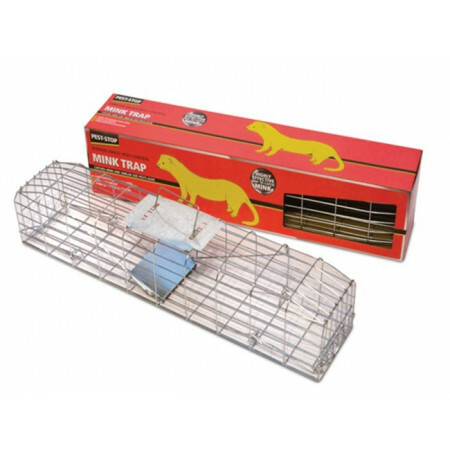 Metal trap to catch mink and similar-size animals. Assembled and ready for use. Capture traps for animals. 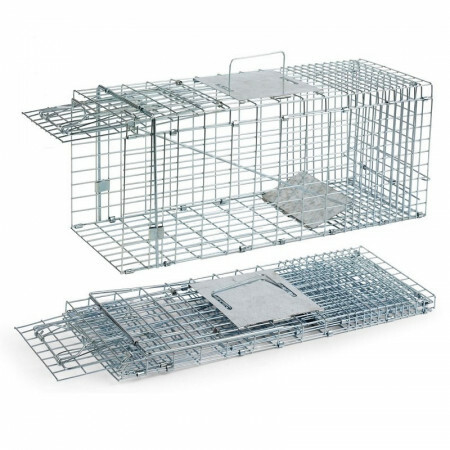 This type of trap catches animals, but does not kill them, live capture. 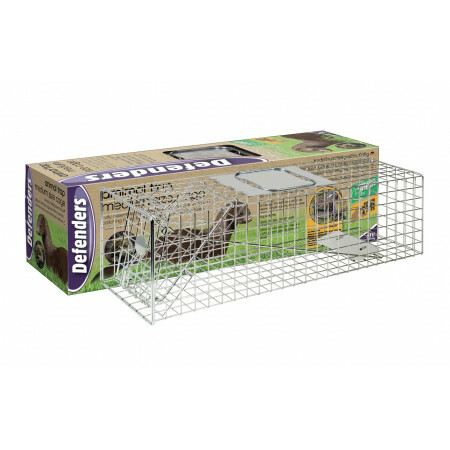 Traps to catch rats with double doors. 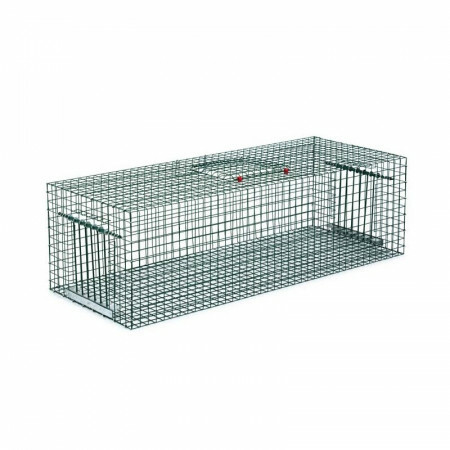 This type of traps to catch rats, but not kill, live capture. 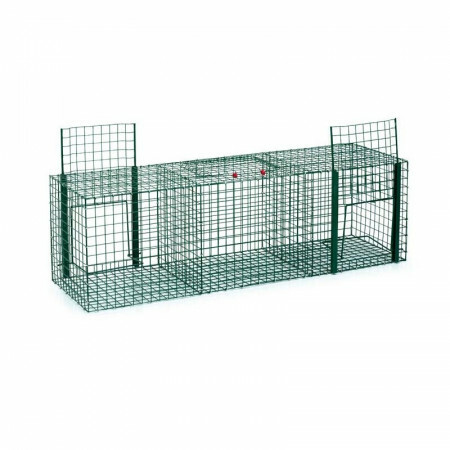 Special cage to capture mink and other animals like the same size. 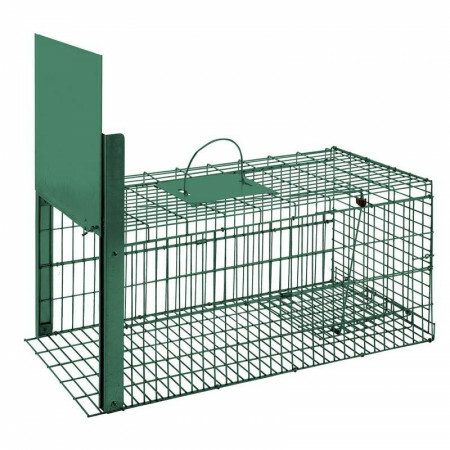 Folding hunting basket galvanized. To catch live animals. Folding hunting basket painted. To catch live animals. Traps to catch magpies. 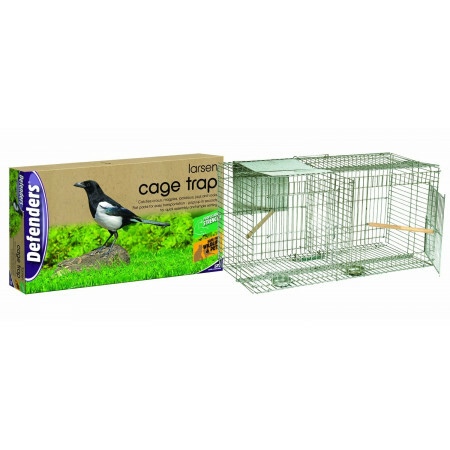 This type of trap catches the magpies, but does not kill them, live capture. Traps to catch vermin double door. 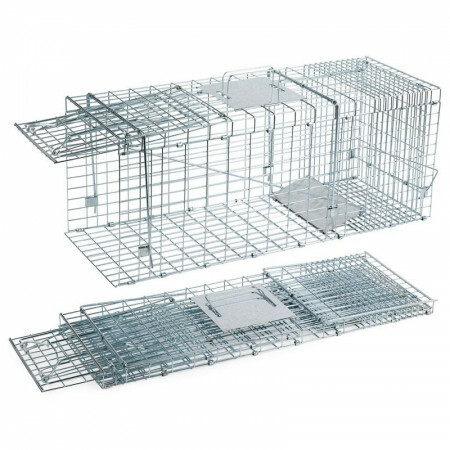 This type of trap traps vermin, but does not kill them, live capture. Traps to catch birds. 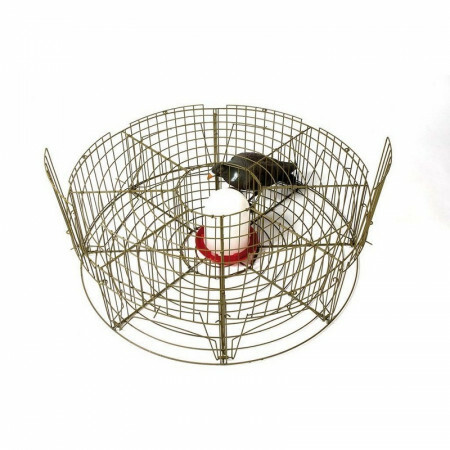 This type of trap catches birds but does not kill them, live capture. Flat-pack trap pops up in seconds to trap magpies, rooks and jays. 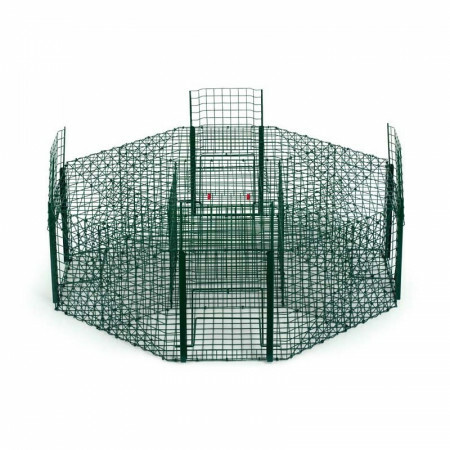 This metal cage measure are 98x48x53cm. 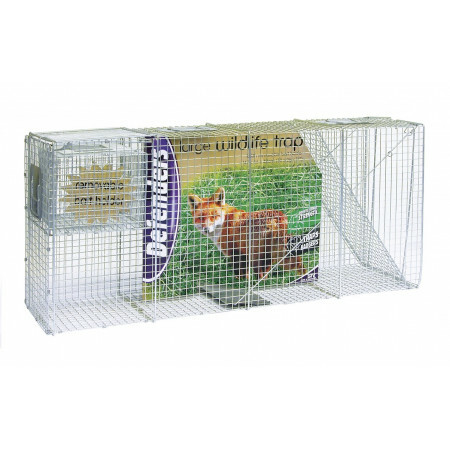 This cage is ideal for foxes and other spray animals. Removable bait holder for live or deal bait. 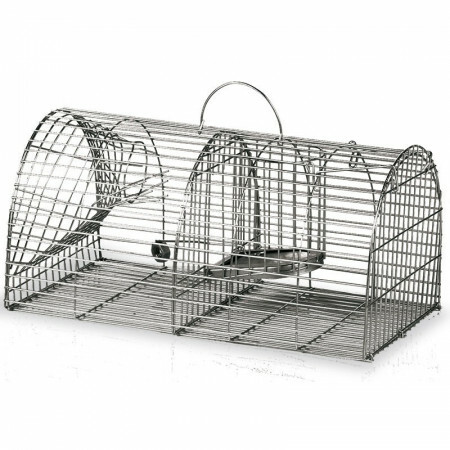 Cage with double handles for better capture and transport. Traps to catch pigeons. This type of trap catches pigeons, but not kill, the live capture.